Google is my friend, I like to check out where I'll be, get familiar with the area where I'm staying in relation to what I want to see and do. You can even use street view to "see" the buildings and businesses in the neighborhood. Having this familiarity allows me to get my head out of the map and enjoy the sites I came to see. Every museum has an online gallery guide these days, so you don't make the mistake I did in France, of not knowing how to get around the gallery before I went. Another great way to avoid this mistake is to hire a great guide. Let them take over the navigating and enjoy the ride! Knowing where I'm headed and being familiar with the map before I go allows me to relax and fully experience a place. Whether it's a giant DSLR or your cell phone, get to know the camera before you go so you aren't fiddling with the settings while you should be enjoy the setting! Don't buy a new camera before you go without practice. And save the editing and chimping for home or at least hotel downtime. Our photographer, Jeff, is great at this! He researches carefully what gear to take (and what to not bother with) He will take his camera on a shake down cruise at home in our local parks and cities to make sure he's got the equipment mastered so the trip can be all about the experience! I wish I was as thoughtful- but in the past I either took one of his cameras and wasn't comfortable with it and had to spend time trying to figure out how to use it, or I just left it in the hotel room. Lately, I've relied on a good cell phone camera- the pictures may not ever be museum quality, but I know how to use it and can get back to experiencing the destinations and the people I'm traveling with! 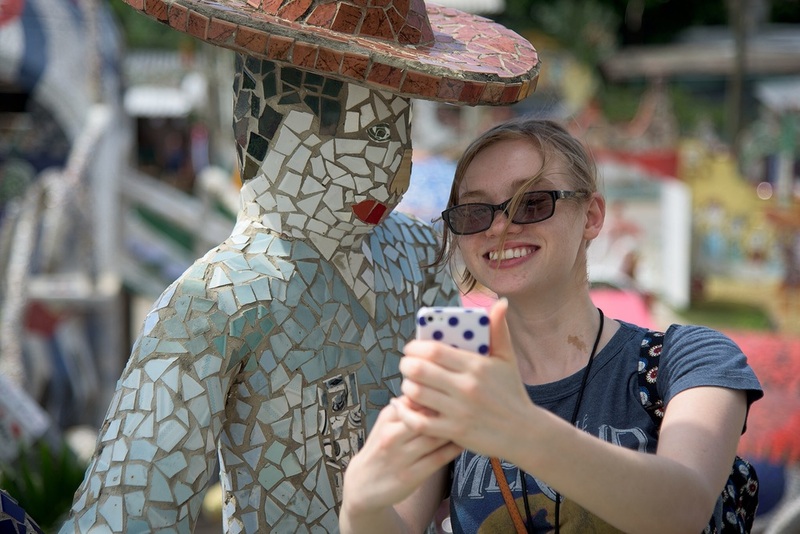 Our daughter (in Cuba) is comfortable with her cell phone camera! There's that phone again...if it's blowing up with stuff from work or what Aunt Mildred had for lunch, you might miss important parts of your vacation! Despite live tweeting vacations myself, I make a real effort to confine my social media and communications with home to a few scheduled quiet times and focus the rest of the time on the destination and my travel companions and new friends. I have a friend who recently took a short break at a lake house and wisely shut down her work email account from her phone, so that if she was photographing beautiful scenery, it didn't go "unseen" because of pinging alerts about what was happening at work! Smart lady! This young couple has the right idea in Maine- focus on eachother and the scenery! Am I ever guilty of this one! If there are a hundred things to see and do, I'll want to hit at least 80! But I've learned if I dial it back and really focus on one or two top sites or activities, I can have a deeper more meaningful experience in the destination, and won't miss the other 97 things to do AND as a bonus, return more refreshed! During our recent, very short port stay in Cartegena, Columbia, I succumbed to the need to tick off the items in the guide book. 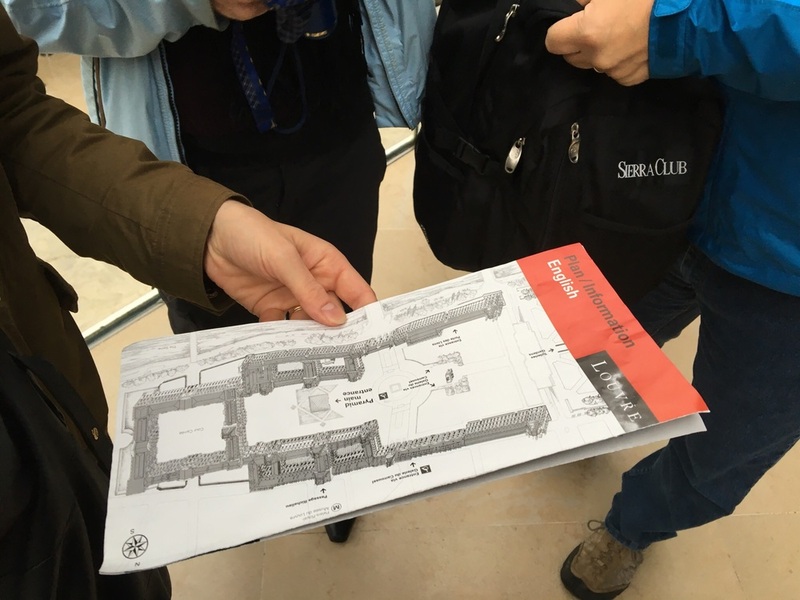 I booked a tour and encouraged the guide to cram in as much as we could. It was hot, tiring day, and while we saw a lot of the city, we missed out on walking around the walls of the city and through the fort. My husband is a HIGE fort fan, and I've never regretting spending time walking anywhere. In one hot afternoon, we should have spent our time exploring the fort and city walls and just said "no" to all the must see churches and markets. Knowing what you like best and concentrating your activites and excursions on those, is the very best way to experience a destination, rather than trying to do it all! 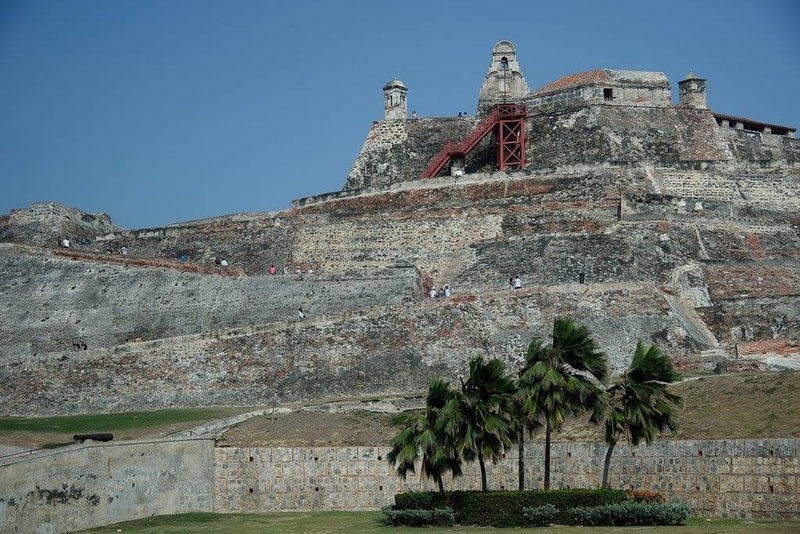 With so many things too see in Cartegenga, we missed seeing the fort up close and walking the city walls, which is what we would have enjoyed doing most! I feel very fortunate to have traveled many places, and I try to do some planning ahead to ensure I get to see and do the things that matter most to me, and to enjoy the company of the people that matter most me. I'm learning to make sure I see the scenery AND stay fully present during my travels!